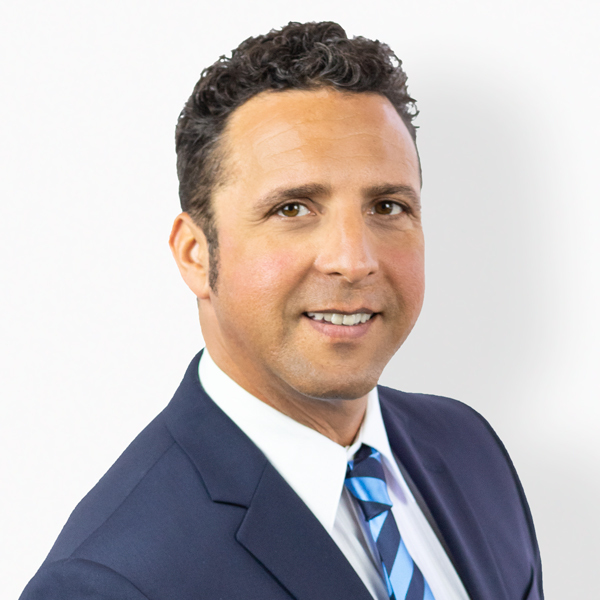 Marc Abouaf Realtor CSHP (Certified Senior Housing Professional), CIAS (Certified Investor Agent Specialist) ECOBroker™ Simple isn't easy, let's keep the process simple and succeed together in the process. Getting to know Marc Abouaf. Complete immersion into a project, business endeavor, or the world itself is the way Marc Abouaf has always approached life. This tendency to fully understand and master a situation has served him well over the past 15 years as a San Diego real estate agent. More importantly, it has served his clients well as they benefit from the type of Realtor who relishes the challenge of helping them buy or sell a house in the ever-changing housing market. A native of Southern California, he works with clients of all ages and lifestyles, but has recently chosen to adopt another unique challenge – the need for agents to do a better job of serving an older population. Seniors and boomers (adults 55+) face a unique and more difficult set of emotional, financial, and logistical challenges when it comes time to sell or purchase a home. To better serve these clients, Marc set forth on a journey of continuing education, earning the designation of Certified Senior Housing Professional from The Seniors Real Estate Institute, a prestigious course of training and ongoing education that includes a rigorous vetting process for any real estate agent who applies. “We train our Certified Senior Housing Professionals – like Marc – to be friends, advisers, and business partners with their clients while they navigate the complexities of downsizing,” says Nikki Buckelew, founder and president of The Seniors Real Estate Institute. What Marc's Clients are Saying. Marc helped us sell our parent's house. He responded quickly and professionally to all our needs. From our first meeting he was prepared with all the necessary information that we needed to set our selling price and kept the communication between us open and fluid. Since I live out of state and was only in California once a month, it was vital to me that I be kept current with all steps in the sale process. Marc quickly determined our needs and expectations and bent over backwards to fulfill every one of them. He is professional, knowledgeable, very personable and always very accommodating. I hope to be able to purchase another property in the San Diego area in the future and I plan to have Marc help me locate something. I absolutely would recommend him to my family, friends and business associates. Marc listed and sold our condo in Downtown San Diego because of his dedication to his business. There were many other listings in the complex, with similar amenities, so when we had an offer within a couple weeks were so surprised. He had a professional flyer and was available at all times to show the property because he was there. He was easy to work with and made the transaction painless as he handled every single detail. We would definitely work with him again and proudly refer him. Where do I begin?! There are no words to really describe what Marc did for my Grandmother. The first call I received from Marc regarding the sale of my Grandmother's property; is a call I will never forget! I live in Key West, Florida and my grandmother's property was in San Diego, California. Marc showed true compassion toward this situation. It wasn't about just selling a home in Marc's mind. I am not going to go into specific and horrific detail of what Marc had on his plate while dealing with my family; but I will say that Marc has a heart of gold. Not only was Marc exceptional on a business level, he was very involved on a personal and emotional level. I could write a book on the obstacles that he encountered and if I were him I would have ran away! This is the guy that you want in your corner! Trust me! Marc helped me sell my house and buy a new one. My house was sold in about 1 week and he made it possible for us to get into our new one seamlessly. I felt like I was in control every step of the way and he was there to make my move easier. He was very professional, informed and never pressured us. I highly recommend him. Marc helped me find a new home in a great location and sold my prior home. He handled all aspects of the transactions masterfully, from negotiating the price of the new home to getting me the price I wanted for the prior one. He acted as a trusted advisor throughout both transactions, stayed in touch at all times, helped me through the inevitable emotional turmoil and stress, and made everything run like clockwork. His assistant, Jessica, did an excellent job helping with the staging and preparation of the house I was selling. Marc also referred the mortgage lender I went with and has been an excellent source of referrals for other services. At the end of the day, I believe the the single most important thing for an effective agent is that the agent truly represents and respects the client's interests at all stages of the transaction. Marc did this completely. I never once had to wonder whether Marc's advise and counsel were being shaped by his interests. Everything he did was centered around me, my interests, and my needs. This made for an extraordinary and highly professional working relationship. My many thanks to Marc and his team! Marc worked very hard to get my house sold - often under difficult circumstances. He was able to handle the buying of the new place as well, which also ended up having problems due to a lender backing out.It was full of challenges, but in the end it all worked out. Marc cares and keeps in touch and is a sincere hard worker. It took my husband and I two realtors and almost a year to find and buy our "dream home". The first was ok but not a go-getter, so we decided to give Marc a try after meeting him at an open house. Marc was great. It's a tough time to buy, which made it extra important to have a buyer's agent that is on the ball. By the time we met Marc we knew exactly what we wanted. We gave Marc a list of "possible upcoming short sales and foreclosures" in our desired neighborhood. He knocked on these doors to try to find out for us how likely these were to really come up for sale. He made himself available weekends to show us homes and didn't make us feel like we were putting him out, which was important and not our previous experience with other realtors. When we found the house we wanted, we put an offer in the morning after it came on the market. The response was that they already had a full price offer on the table. We ended up in a stressful situation with multiple counter offers. We, probably like all bidders, didn't want to lose the house over what would later feel a nominal amount. Marc was responsive at all hours of the day and late into the evening, interacted well with the selling agent, kept us informed, and wasn't afraid to give us his advice as to how to get the job done and "win" the house. In my opinion too many realtors are afraid to give real advice because they are afraid of litigation. The whole reason we chose to work with an agent is for his experience and advice -- I have my realtor's license band could have done the job but have never worked as a realtor, and in this market, that's not sufficient. Marc really worked hard for us and while all decisions were ours alone, gave good advice. We got the house and we're happy campers. Choosing a realtor is somewhat personal, but I'd recommend Marc, particularly if you are looking in Bay Park, San Diego. During the purchase of our new house, Marc was incredibly useful in guiding us through the offer, counter-offer and acceptance stage. Once we had closed on the house for $20,000 less than the original asking price we were happy clients! Marc was there for every step of the process from start to closing, and we absolutely love our new house! Plus, we saved serious money due to his headstrong negotiating. Now, about the sale of our old house! We were plagued agents who try to determine “how low we would go;” and indecisive buyers would give us a written offer and change their mind days later. The combination and coordination of purchase and sale required an immense amount of patience and reflection. Marc gave very good advice for us to consider. He had a very good “sixth sense” on when to negotiate with an agent and when finally tell them to “get lost, we won’t sell this house to you for that offer” (in much kinder words, obviously). Fortunately, we finally got a workable contract and Marc was with us every step of the way in dealing with the offer, counter offers, repair negotiations, etc. He earned MUCH more than his actual commission during this process, and we got the deal done. We will never use another realtor other than Marc and we’ve already recommended him numerous times. His honesty, patience, and experience we’re exactly what we needed to navigate the sale & purchase of our homes. The home selling/buying process sure has changed a lot since we first bought our house in 2006. I truly hope Marc continues prosper and succeed. A Selection of Marc's Recent Sales.